Tick tick time is going extremely very fast. If you are very honest and dedicated about yourself, then just do today, which you are trying to do for yourself and others. If you are a designer, do not do work for free, because its time to earn, which you get. Because we have no idea, what will happen tomorrow. Time is going on just like a dream. The awesome freebie of the day is Free Flat Printable Wall Calendar 2017. This is one page wall calendar for the year of 2017. This Free Flat Printable Wall Calendar 2017 is designed in Illustrator CS6. 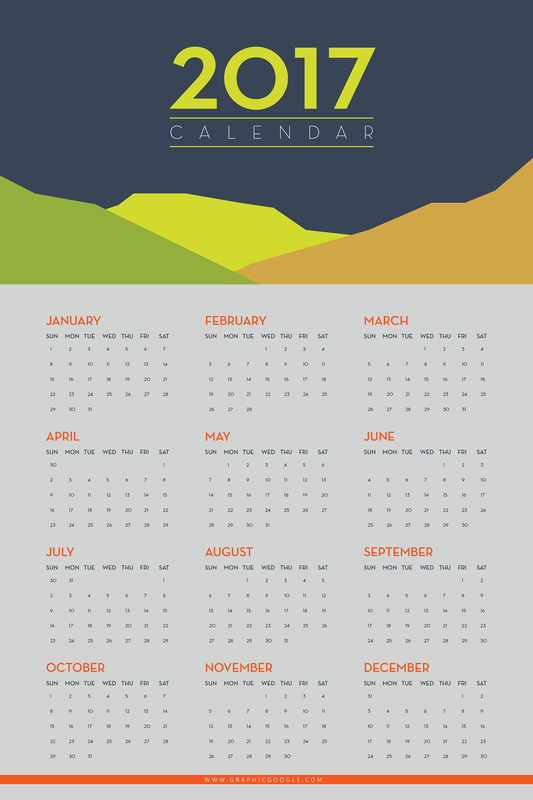 The calendar template is editable and in vector format. You can change the color, edit the text and also change the fonts. You can also change the header of calendar with your own one.